Baylee Nothdurft needs to head to the local newsagent and buy a lottery ticket after dodging a serious injury this morning at Clifford Park. He describes galloping on the cushion track with Todd Banks at track work before an unfortunate incident involving them and a third horse resulted in a serious multi-horse fall. He recalls seeing Todd hit the running rail and recalls hitting the ground hard himself. “You know that there is not much give in that cushion track Winno – it is like hitting concrete," said Baylee. Baylee recalls the paramedics cutting his pants off and telling him his right knee cap looked dislocated. He was transported to St Vincent’s Private Hospital before undergoing medical assessment and x-rays that have cleared him of any serious injury. "Those green whistle things they give you for pain were great – I ended up going to sleep”. Baylee has just woken up from a rest this afternoon and has spoken to Winno telling him that “I am sore mate, it is like being in a car crash”. Baylee is determined to get a medical clearance to ride Saturday at Beaudesert and later in the day at Toowoomba. 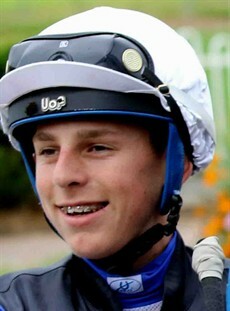 Undeterred by the incident Baylee is also hoping to have his jockeys licence upgraded to ride at metropolitan midweek races within the next few months. “I would like to ride in the city and see how I go," concluded Baylee. *HRO is attempting to contact Todd Banks to get a first hand account of his condition and his view of the incident. An update will follow. The track rider involved is reported to have escaped any serious injury.